When you bring home your new baby, you want only the best for them. You want to give them everything they need and to create an environment that is safe and healthy for them. 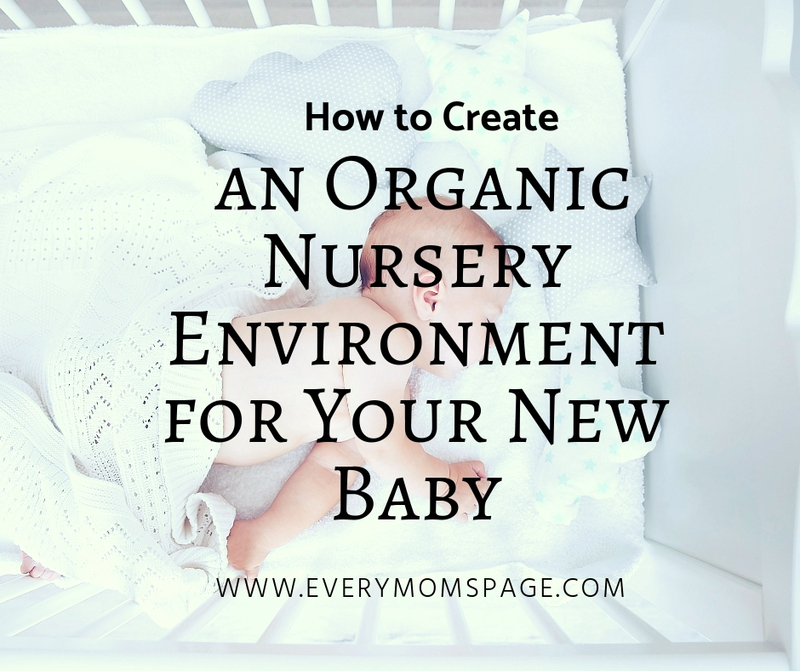 For many parents, that means taking the steps necessary to create a more organic and natural nursery environment for their baby. Of course, saying you want an organic nursery, and then knowing the best steps to take in order to achieve it are two different things. Here we’ll take a look at some tips and steps you can use that will help you create that natural environment for your bundle of joy. One of the first things parents-to-be do in the nursery is paint it, which means this is the first area you can make an organic, more natural choice. Be sure to choose a paint that doesn't have VOC's in it. These are the chemicals that cause the strong fumes that you associate with paint. It can take weeks, even months for those fumes to go away and leave your little one feeling sick. When shopping for paint, look for one that is either "VOC-Free" or "Low-VOC". Bedding will be another area that you can focus on making organic choices. What many parents don't realize is that much of today's crib mattresses and sheets are actually treated with fire-retardant toxic chemicals. These wear off over time, but during that time your little one will be breathing them in and having them touch their skin. Look for organic crib sheets, blankets, and even organic mattresses to ensure those chemicals won’t be in your child’s nursery. It can also be a good idea to install an air purifier in the room with a HEPA air filter in it. This will greatly improve the air quality in the room and ensure that the air is moving around. These units tend to be quite portable, so you can find one that fits the space and is easy to move around. Whenever cleaning the nursery, it's a good idea to use an organic green cleaner. This is a cleaner that is chemical-free, so once again you don't have to worry about adding toxins into the room. What's great about organic cleaners is that you can easily make your own at home so that you are in control of the ingredients being used. A simple search online will produce all kinds of organic cleaner recipes. While you may think it's a nice idea to add a diffuser or air freshener to the nursery, more often than not these will have chemicals in them. If you are having problems controlling the smell in such areas as the diaper pail for example, just use a little baking soda. These tips will help you to create a safe non-toxic environment that is healthy for your little one.